As people first consider a bankruptcy, they are often experiencing an emotional tug of war, caught between the stress of debt and creditor harassment, and the concern about what the decision could do to their standard of living and financial future. For many people, the constant creditor phone calls or the possibility of losing the home can be the last straw, causing them to call an attorney to learn what their options are. 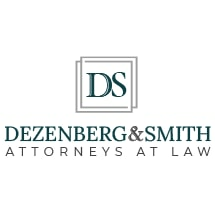 At Dezenberg & Smith, Attorneys At Law, we provide compassionate and capable bankruptcy representation. We understand the immense toll this has taken on you, and we are focused on providing you the pathway out of the debt and to a sound financial future. To arrange a free initial consultation with a Huntsville bankruptcy lawyer, please contact our Alabama law firm today at 256-533-5097. Overwhelming debt can happen to anyone. Medical bills, credit card debt and other loans can snowball, especially if an unexpected financial crisis arises. From white collar professionals to blue collar workers, bankruptcy can happen to anyone. Our firm will guide you to the path that is right for you and your situation, whether that be Chapter 7 bankruptcy or Chapter 13 bankruptcy. We find the solutions that will position you for the best financial future possible. As we work to complete your bankruptcy, our lawyers will look at the situations and circumstances that brought you to this point, helping you understand what can be changed in the future to avoid further financial turmoil. We will review your specific situation and circumstances to determine if bankruptcy is in your best interests. While it benefits most people, there can be options available sometimes that will help the individual avoid bankruptcy. If bankruptcy is not your best option, we will provide you with alternatives that will meet your needs. If bankruptcy is in your best interests, however, we will guide you through the process from start to finish, providing the information you need at every step along the way.